Arbor Transport & Construction, Inc.
Brad M. Tankersley Construction Co., Inc. Comment: We are converting 3 parking spaces into 2 handicap parking spaces with a 5 ft aisle between them . Comment: Old pavement developing pot-holes due to heavy truck traffic. Comment: the home we bought has a single driveway, we are looking to extend it in order to fit two cars. 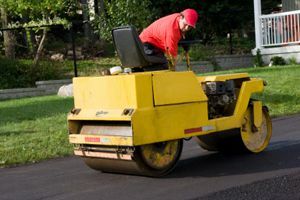 Oklahoma City Paving Contractors are rated 4.83 out of 5 based on 149 reviews of 14 pros. Not Looking for Paving Contractors in Oklahoma City, OK?